Savage Mark II .22 cal lr. I have been thinking of picking one of these up for a couple of years now. I was playing around with the accu-trigger at a local gun shop and really liked it. Well, I am not disappointed. 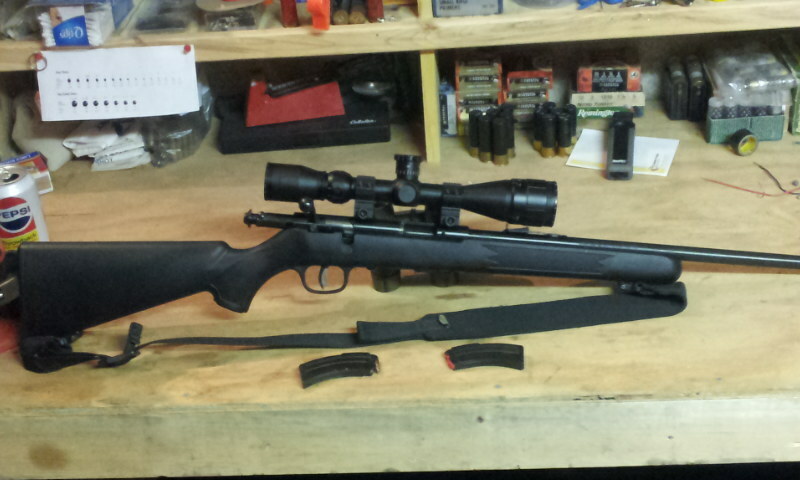 Here it is dressed with a BSA Sweet .22 scope, and an extra magazine. I’m not going to go through all the specs of the rifle, you can find that all over the internet. My intention is to let you know that for an “average” shooter this gun and scope combo is indeed Sweet. One thing that I want to caution you of is the fact that this rifle does NOT come with scope mounts. Maybe it’s just me but that was surprising. It wasn’t a big deal because I bought the rifle and scope at the same shop and noticed the lack of mounts right away. Here is what you get in the scope box. A glass cleaner, the wrench for the trigger adjustment, 3 turrets (one is on the gun), aluminum scope covers (which I will upgrade with flip ups). 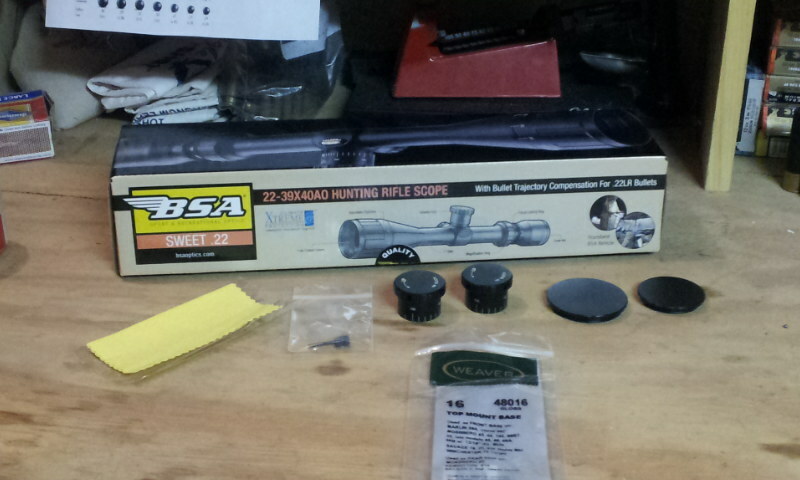 The scope mount package is there as well. It’s the #16 weaver package and you will need two of them. The gun was actually purchased several months ago and since it is winter here in Wisconsin I have not shot it a lot. I don’t have access to a range so I shoot in the backyard. We did a sight-in and was very satisfied considering it was windy and quite cold. 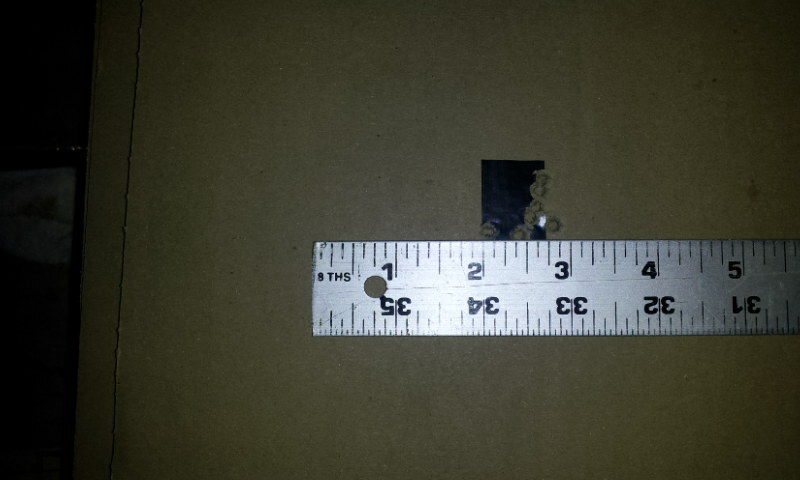 Here is my last 7 shot group at 50 yards. We had shot about 300 rounds through the gun without cleaning it at this point. If you haven’t tried the accu-trigger rifle’s from Savage, you should. They are very nice guns right out of the box. I’m really looking forward to shooting this gun in the spring. 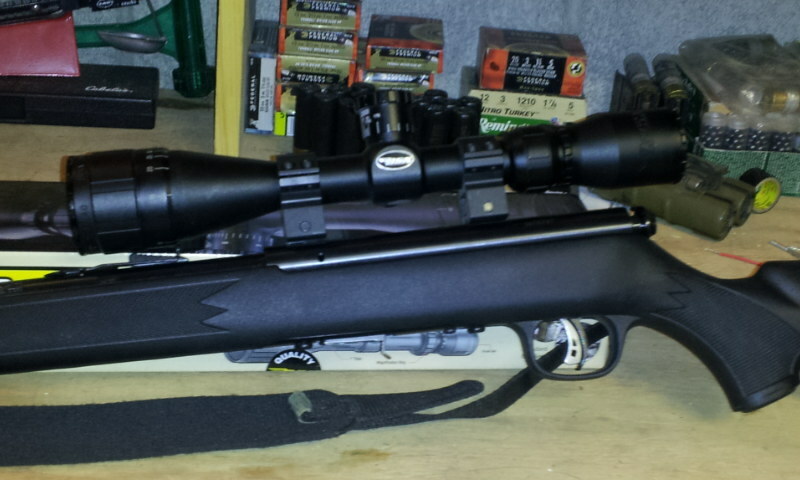 Once the scope gets dialed in and I get more comfortable with it any squirrel within sight better worry. Let me know if you have this gun and what you think of it. Reminiscing about Last Years Garden…and Looking Forward to This Year!